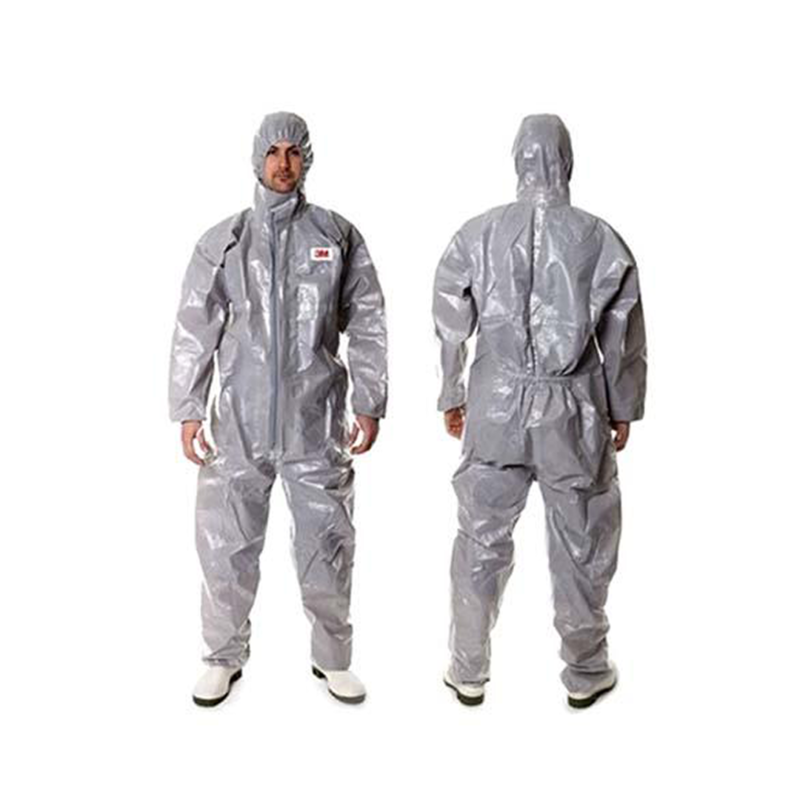 3M 4570 Chemical Protective Coverall helps protect against a range of chemical jets and sprays. This chemical protective suit has been certified to Type 3/4/5/6 levels of protection. With additional design features including an enlarged zip and thumb loops, an integrated double-closing stormflap system and chin flap, convenience of use can be offered without compromising the level of protection offered. ASTM D 5733, ASTM D2582, ASTM D751 Section 18, ASTM D751 Section 66, ASTM F1670:2008, ASTM F1671:2013, ASTM F739, Certified to European Standards to help protect against certain industrial hazards.